If you are looking for 100Lb braided fishing line you have come to the right place. We carry 100Lb braided fishing line in 500 yard, 1500 yard, and 2500 yard spools. Our braid is spooled and packaged in Miami, Fl and delivered straight from our factory to your house or business. This is the braid you are going to use for 90% of big game fishing applications. Our solid core 100Lb braid comes in two different colors (green, or yellow). This braid is an 8-carrier braid, meaning that it is composed up of 8 strands which make up its braid. It has been proven time and time again to be an excellent braid for big game fishing and landing big sharks, marlin, and tuna. 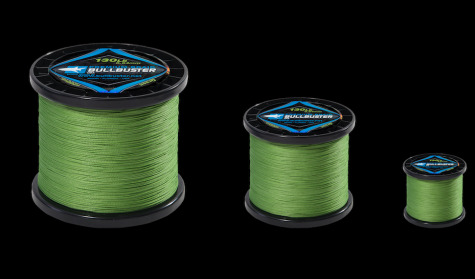 Our hollow core braid is a 16 strand braid which allows has a hollow center, allowing you to splice monofilament into it in a smooth and knotless connection. This braid is excellent for allowing your splice to slide in and out of your guides with very little friction. This can be very important during the end game with a big fish. 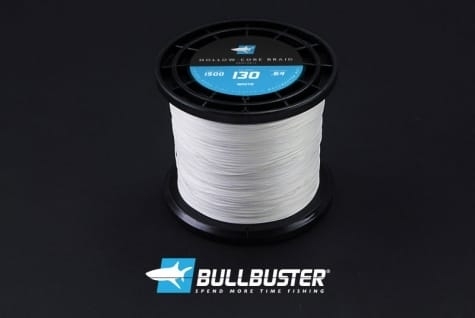 This line has become very popular amongst the long range tuna fishermen who pack heavy line onto small reels to battle beast cow tunas, with a small self -built fluorocarbon "wind-on" or topshot. When using 100Lb hollow core braid you can avoid having to buy wind-on leaders and make them yourself. 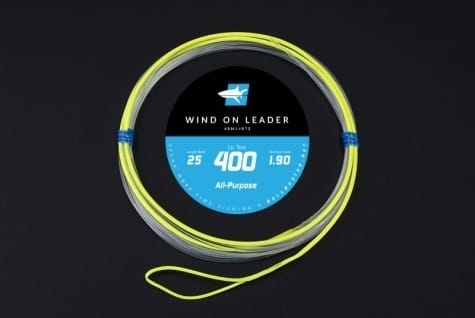 When using 100Lb hollow core braid you can make your own wind-on leaders instead of having to buy them pre-made. If you are looking for 100Lb braid, chances are you are doing some big game fishing big tuna, marlin, or sharks. Below you can take a look at some of our resources for these species. Ditch the old monel or "wire lines" and switch to something more light weight. for you to handle thats just as strong. Our 100Lb braid should last on your deep dropping setup for thousands of drops and allow you to bring up anything from a small snapper to a BIG Warsaw. 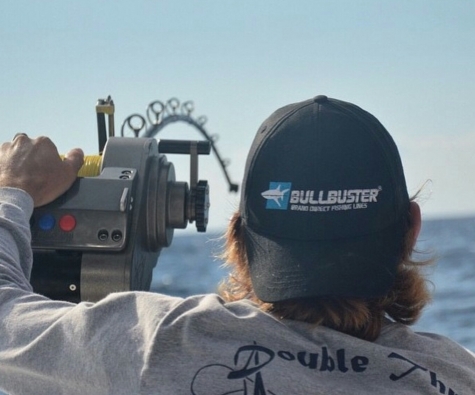 Check out the video below of #BullbusterAmbassador Tree Guy Sportfishingbattling a nice tuna on heavy hollow core braid and spinning tackle! Our 100Lb braid can be used in two ways for big game fishing. It can either be used as backing with at least 2/3 of mono on top or to fill your whole reel with only a small mono topshot for leader. Read some of the articles below to get a good idea of how you want to use your 100Lb braid. Check out this shark fishing video posted by Youtube Channel "Infinity Fishing Team"